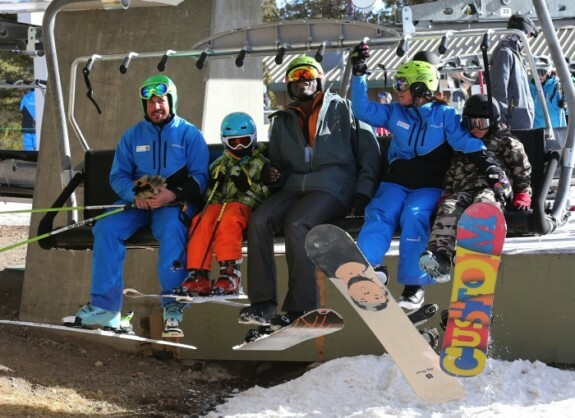 A Mammoth Mountain Ski Resort is a celebrity hot spot this week as families enjoy some down time together. Singers Seal and Gwen Stefani were spotted on Tuesday running into each other while out on the slopes with their kids. Currently on vacation with his kids, Seal was waiting for their ski lessons to start when he bumped into Gwen and her family. The pair hugged, chatted and exchanged phone numbers before heading off to their respective plans. Currently 6 months pregnant, Gwen stayed off the slopes and just hung out at the bottom of the hill with a friend. 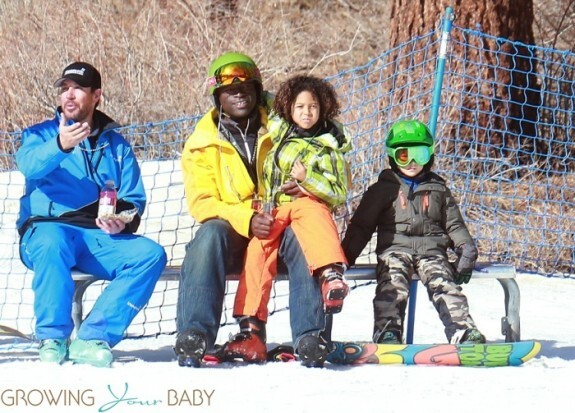 Seal rode the lift with his kids and their instructors.